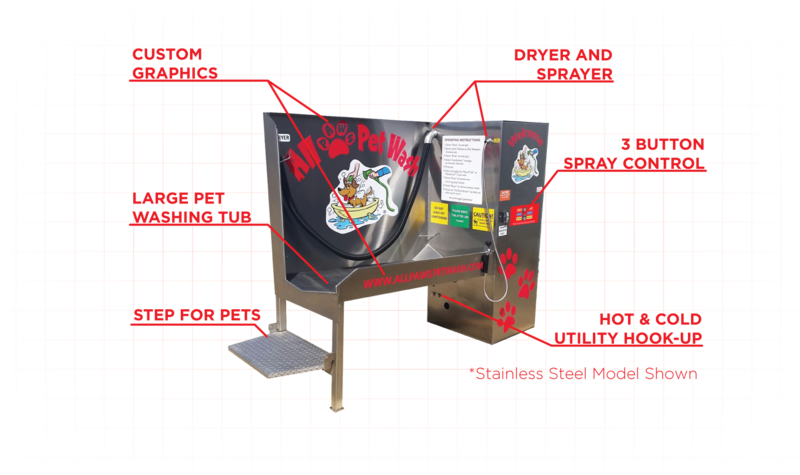 Do you have a business or facility that could benefit from having access to a free-amenity pet wash station? If so, our APW Option C model would make a great addition to your facility. The APW Option C is set up to make it the perfect amenity to apartment communities, campgrounds, private communities and the like. Option C is a free-amenity unit, made accessible only to those who have allowance to use it, as determined by the property owner or manager. Our APW Option C models all come standard with our 3 button operation system. These systems feature top of the line piezo buttons and are ADA compliant. Three buttons on the unit are Off, Rinse, and Dryer. 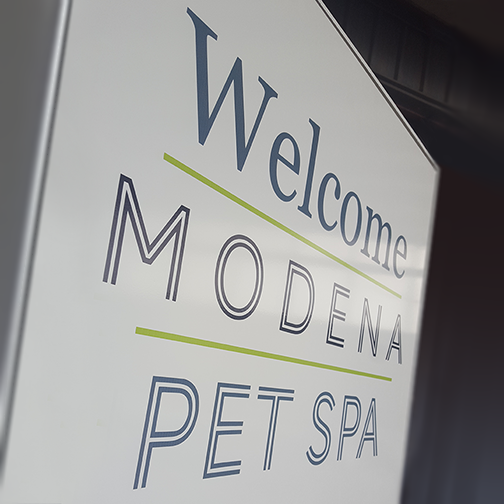 Patrons use their own soap or use the Ready-to-Use soap provided by the property owner or manager. Just like the APW Option A, the Option C boasts a sizable tub for washing even the largest of pets. The tub measures 56 inches wide and 27 inches deep and is angled slightly to allow gravity to do all the draining. 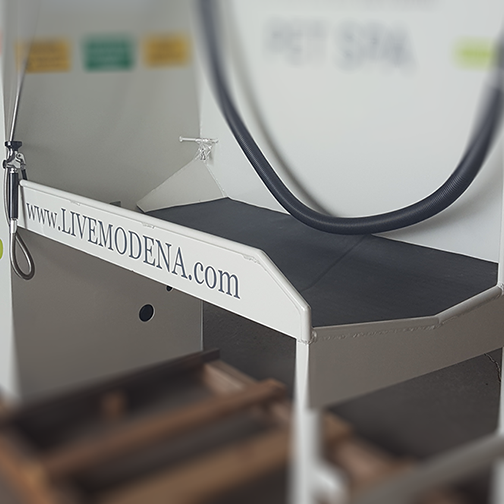 Our tubs also feature leash anchors on either side to make sure your pet stays in the tub during bath time. • 3 Button System – on/off, rinse, dryer. For more information and pricing, please visit our Brochures and Order Forms page to download the brochure for APW Option C.